“Do we really want to travel in hermetically sealed popemobiles through the rural provinces eating only in Hard Rock Cafes and McDonalds? Or do we want to eat without fear, tearing into the local stew, the humble taqueria’s mystery meat, the sincerely offered gift of a lightly grilled fish head? 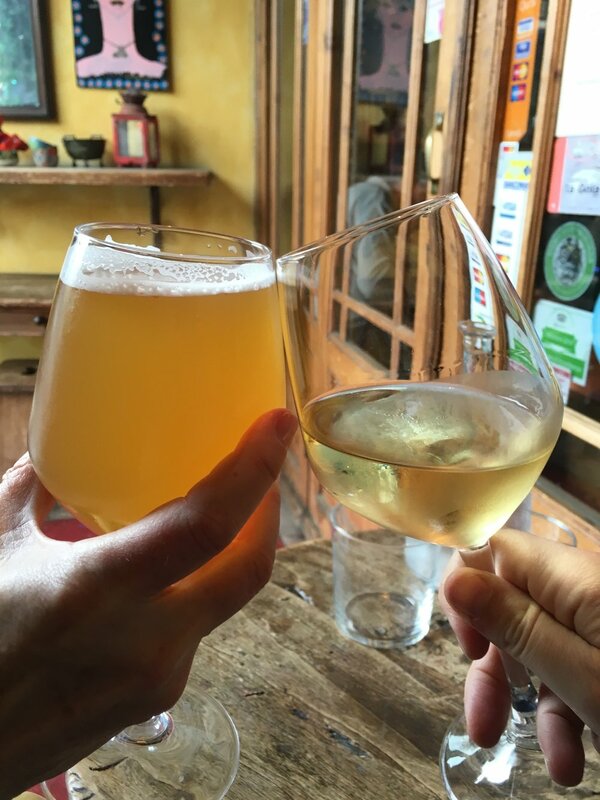 We are foodies at iNSIDE EUROPE and while most of us on the team, like Anthony Bourdain, will try pretty much anything at least once, we know that this is not something for everyone. Thus, we craft our culinary experiences both for our actual traveler's tastes and also in accordance with their adventurous spirit. 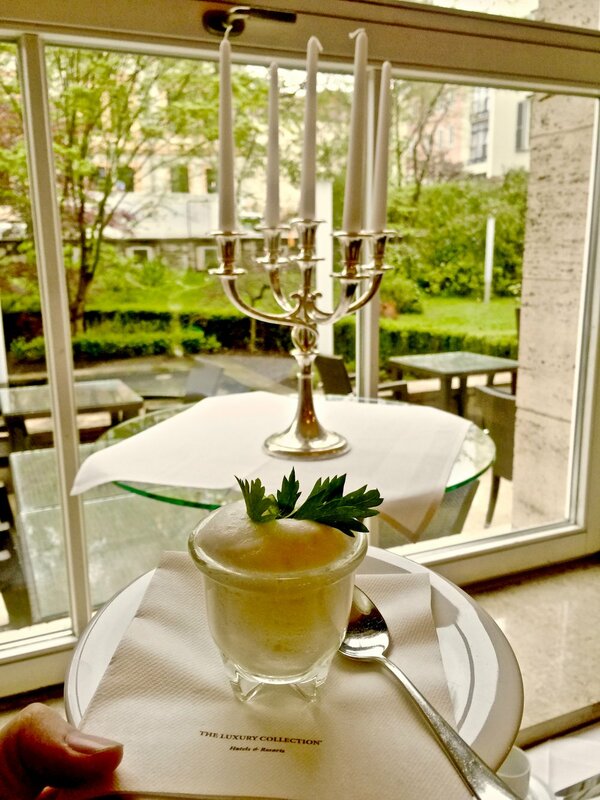 We, however, will not comprise our high standards of serving only authentic, ideally regional food when traveling with iNSIDE EUROPE. We partner only with selected restaurants and chefs that are true representatives of their profession and the cuisine they specialize in. EPICurious EATS is our signature line for foodies that don't fork around. Our experiences cannot be found in a travel catalog. "Laughter is brightest in the place where food is", states an Irish proverb, and we fully agree. 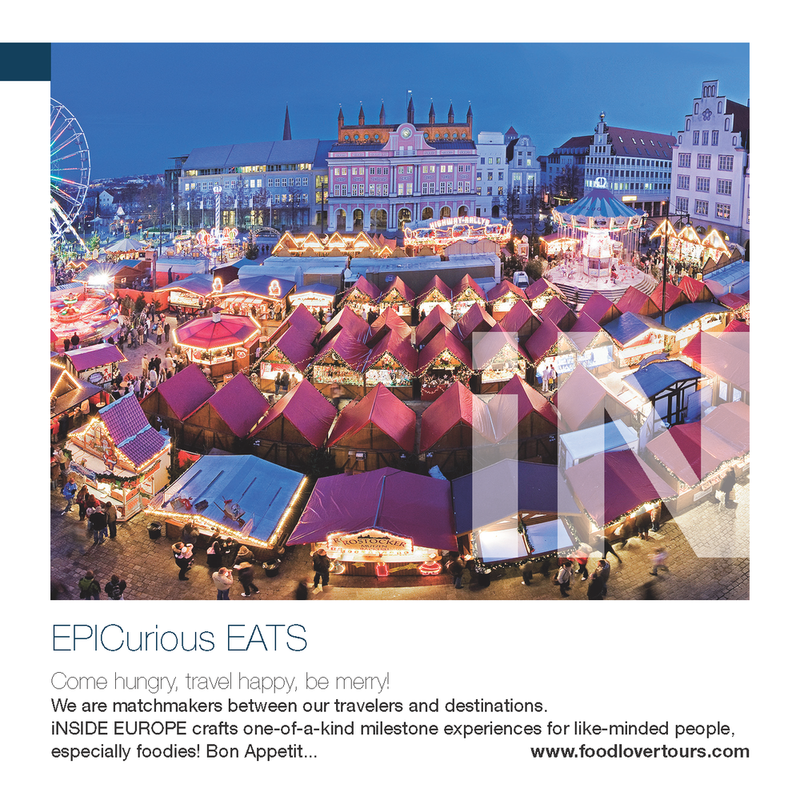 With iNSIDE EUROPE, travelers experience their destinations with all senses, including taste. We invite you to not just eat Italian when visiting Italy, but dig in deeper, to regional and local cuisine, tasting recipes with history and trying modern takes on classics. 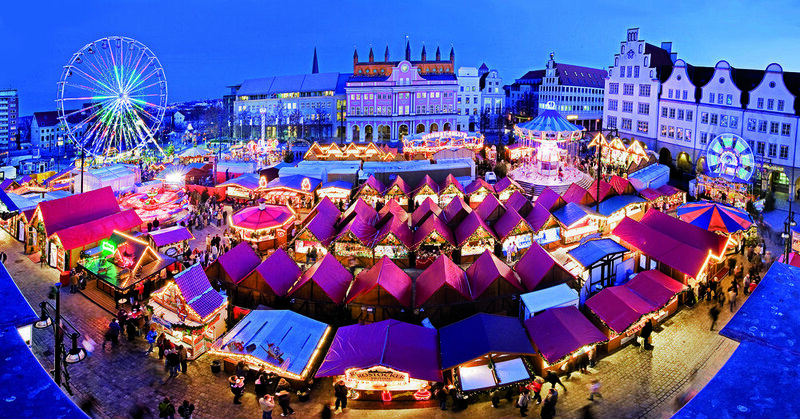 Any iNSIDE EUROPE experience is a culinary one as we introduce our travelers to favorite restaurants and local specialties. The storyline-like summaries of places and experiences on the right are an introduction to our offerings that continuously evolve. We do not share everything online to ensure the exclusivity of the iNSIDE EUROPE experience. We give our traveler access to unique opportunities not available for just anyone. 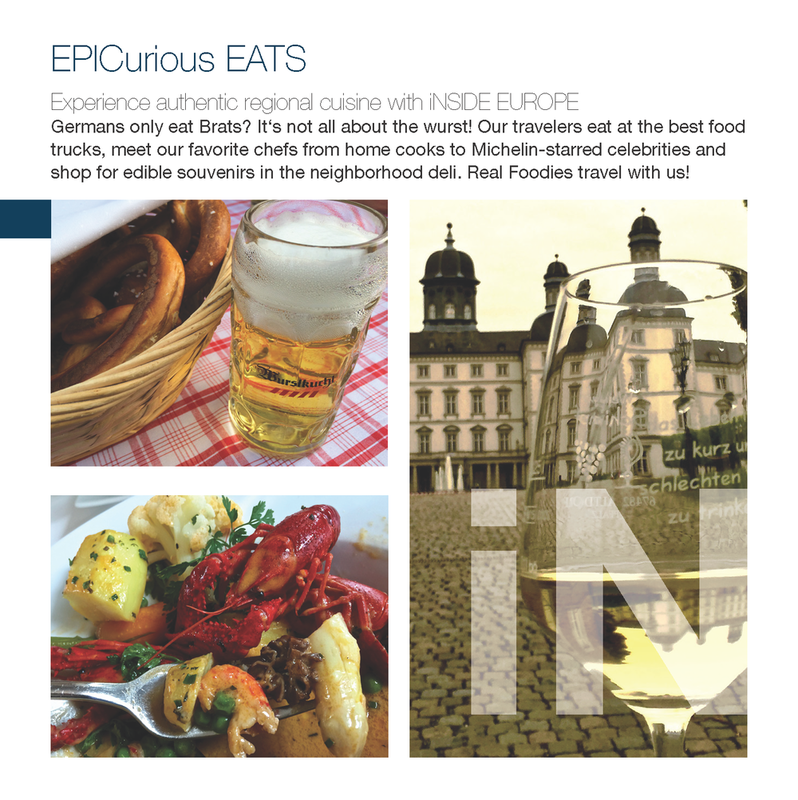 EPICurious EATS is our signature line for foodies that do not fork around but seek true immersion into the local food scene and culture where they go. Meet our favorite chefs, from home-cooks to local celebrities, some Michelin-starred. Shop at farmer's markets, squeeze olives and grapes, get hands on with cheese makers, in a cooking class at the Cordon Blue in Paris, a chef's or a homemaker's kitchen. Just make sure to come hungry.